When a workplace is like a family and an employee in that family needs help or supports an important cause, the whole team has their back. That’s certainly true at Charles Maund Toyota in Austin, which is known for its support of local organizations near and dear to the hearts of its team members, including the Cystic Fibrosis Foundation’s Central Texas chapter. 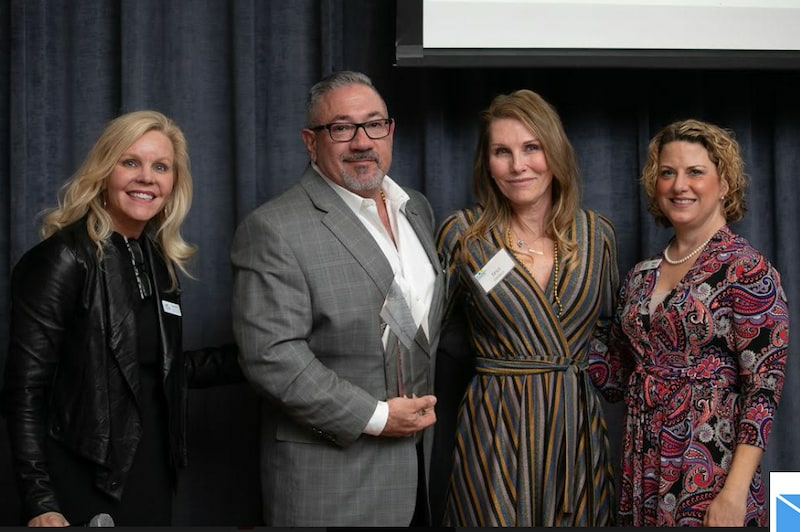 Charles Maund’s support of the CFF was recently acknowledged at the organization’s January 2019 awards dinner, when the dealership was honored the Top Corporate Sponsor award. Charles Maund Toyota’s dedication to improving the daily lives of people with cystic fibrosis began with dealership Vice President Jim DiMeo, whose daughter, Nicole, passed away from the disease in 2015 at age 34. Charles Maund Toyota’s Olya Grynyshyn said that like many of the causes they support, this one is very personal. The dealership is involved with local organizations in a variety of ways, including at Austin’s Community First Village where it has set up a car detailing and oil change shop run by village residents. For the Cystic Fibrosis Foundation, the dealership’s donation helped in a few ways. Stacy Turlington Dollar is executive director of the CFF’s Central Texas Chapter. She said that the dealership’s support has become a welcome partnership and its involvement has had an important and lasting impact. “Charles Maund Toyota and their continued support of the Cystic Fibrosis Foundation Central Texas Chapter has helped us to further our mission to cure cystic fibrosis and provide all people with this disease the opportunity to live full and productive lives and have access to quality care,” said Dollar. Thanks in part to its donation, the central Texas chapter has been able to provide separate clinics for adults and children living with cystic fibrosis so that each has an appropriately nurturing environment. “At the awards ceremony they announced that for the first time since the organization started, in 2018 there were less children than adults coming into the clinics which really says something about the progress of the CFF in fighting this disease,” said Grynyshyn. While Charles Maund Toyota continues to support the CFF with monetary donations, it’s also looking to start a professional development program for young people. Grynyshyn said that the dealership is always looking to its employee family for other ways it can get involved in the community, but as the only locally-owned Toyota dealership in the area, it also reaches out to the greater Austin community for ideas. Charles Maund Toyota is Austin’s only locally owned Toyota dealership offering a great selection of new and used cars to choose from, as well as on-site auto service, a vast collection of parts and a financing team that understands the needs of drivers like you. Charles Maund Toyota is at 8400 Research Blvd. in Austin.